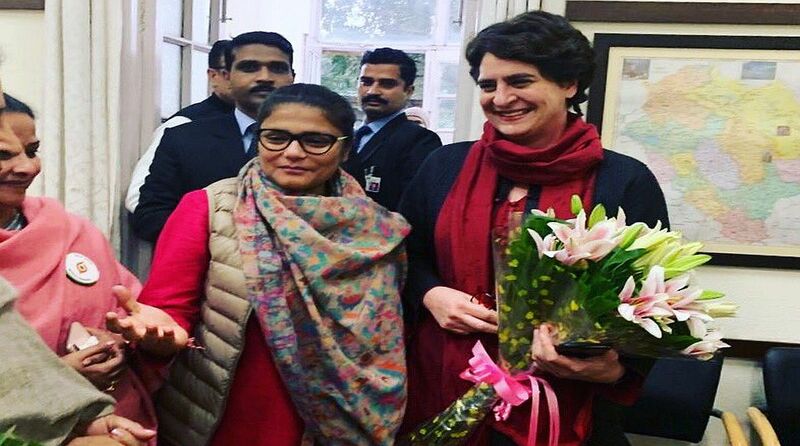 Ahead of her Lucknow roadshow, Priyanka Gandhi Vadra on Monday made her Twitter debut with thousands already following her on the social networking site in a matter of few minutes. Her verified official account is @priyankagandhi. Minutes before the roadshow, Congress party’s official Twitter handle announced that the party’s eastern UP in-charge has joined the social networking site. This comes as a major step as Priyanka is set to hit her campaign trail in Uttar Pradesh today after being appointed the Congress general secretary in-charge of eastern Uttar Pradesh. Priyanka will be accompanied by her brother and Congress Rahul Gandhi and Jyotiraditya Scindia. Ahead of the visit, Priyanka in a message to party supporters and voters said she hopes to start a “new kind of politics” in which “everyone will be a stakeholder”.